Canadian blockchain stocks are providing services across multiple verticals, from cannabis to e-rewards to supply chain management. Bitcoin prices remained volatile over the first quarter of 2019. In spite of these uncertainties, a number of blockchain companies have presented positive returns. 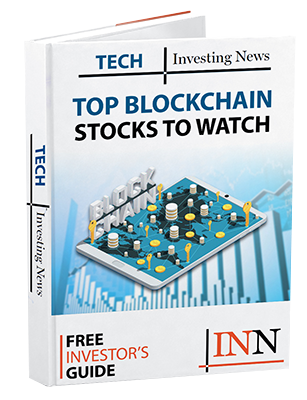 With the first quarter behind us, here the Investing News Network looks back at the quarter’s top three Canadian blockchain stocks year-to-date. The list below was obtained from Barchart on April 9, 2019, with all companies having market caps between C$10 million and C$500 million at that time. With four cryptocurrency mining centers in Norway, Sweden and Iceland, HIVE Blockchain continues to expand its portfolio of digital assets. Most of its holdings are currently Ethereum and Ethereum Classic. In its financial results for the quarter ended December 31, 2018, released in March, HIVE Blockchain reported that it doubled its portfolio of digital assets during the period. Despite generating a net loss of $36.4 million for the quarter, HIVE’s shares have skyrocketed since January. Vancouver-based BLOCKStrain Technology’s principal operations are providing a blockchain platform for the cannabis industry, improving strain identification and quality control testing. In March, Harvest One Cannabis (TSXV:HVT,OTCQX:HRVOF) partnered with BLOCKStrain; as part of the deal, BLOCKStrain will be providing the cannabis producer with genome tracking software for its cannabis strains. Earlier in the quarter, BLOCKstrain signed a letter of intent to acquire Spark Digital Technologies in addition to initiating deals with NXT Water and WeedMD (TSXV:WMD,OTCQX:WDDMF). Glance Technologies provides a suite of products to its users, including its mobile payment platform Glance Pay, Glance PayMe and Glance Coin. As a cryptocurrency for consumers, Glance Coin allows users to earn rewards through merchants and enter a network of merchants who accept the coin. Ethereum security features are integrated into the digital asset. In February, Glance Technologies released its Real-Time Bill, which enables customers to pay for their bill without requiring a physical copy. Editorial Disclosure: BLOCKStrain Technology and Harvest One Cannabis are clients of the Investing News Network. This article is not paid-for content.